The kitchen is much more than a place to cook meals and do dishes. It’s the heart of your home; where your family and friends come together and make memories. Whether you’re updating your existing kitchen or building the kitchen of your dreams, the warmth of a new kitchen from GenHawk Construction radiate through your home and create an inviting space that you love to be in. 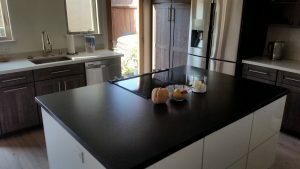 As an expert kitchen and bathroom remodeling contractor in Ventura, Oxnard, Camarillo, Thousand Oaks and Westlake Village, we know the value of getting to know you and your home and understanding your unique needs. Our extremely trained professionals have been handpicked from among the best in the industry, and are trained to provide you with the options you need as well as the quality kitchen remodel you deserve. 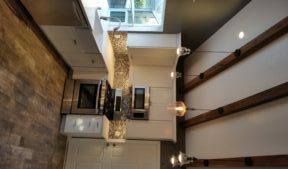 Your home and family is unique and we will customize your kitchen remodeling project accordingly. A kitchen remodel is not an insignificant project to say the least. If your project isn’t done right, it can create weeks of chaos, dust and stress in your house. GenHawk Construction knows how to remodel your kitchen whether it’s small or large, simple or elegant, plain or modern while keeping the pains of such a large project to a minimum. And since we are a general contracting company, there is no need for you to hire separate designers, carpenters, painters, cabinetry installers, plumbers and electricians for your project. We handle all phases of your project from start to finish so you can focus on your life without worrying about the details. With GenHawk Construction, you get licensed, bonded and insured professionals. We pride ourselves on making our kitchen remodeling customer happy every time they walk into their kitchen. We refuse to cut corners. Unlike the other guys, we are only kitchen and bathroom remodelers. We have expertise in every aspect of home remodeling, such as flooring, rough plumbing, tile, cabinet layout, etc. GenHawk Construction offers quality and dependability on every home remodeling project. We have built our reputation based on honesty, integrity, credibility and customer satisfaction. There are so many things to considering when designing your dream kitchen. What kind of cabinets do you want? Should you change the overall layout? Will you replace the flooring? Is now a good time to upgrade your appliances? Is it a good time to update our dining room as well? These questions (and a hundred others you haven’t even thought of) are critical considerations when remodeling your kitchen. GenHawk Construction will walk you through the design process to answer them all and make sure your new dream kitchen a reality. ​You’ve started cutting pictures out of magazines. You’ve talked to friends and family. You’ve probably started to form a mental picture of the kitchen you want. Now what? We recommend sitting down with one of our project managers to discuss your project. There’s no obligation and we’ll help you understand the remodeling process, discuss design options and clarify your budget and schedule. To talk to our project coordinator about your free project estimate, just give us a call at (805) 639-8930.